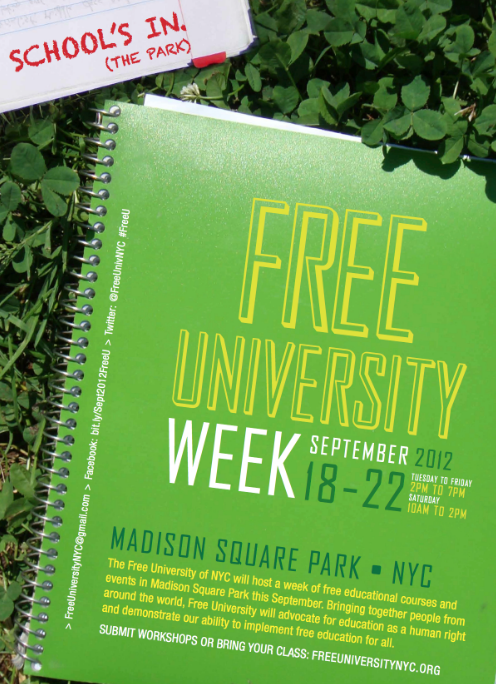 This web page features information regarding "Free University Week," a five-day event in Madison Square Park from September 18-22, 2012 that offered free educational workshops and classes to the general public. Founded around May Day 2012, the Free University project has continued through 2017. Cite This document | The Free University of NYC, “Free University Week ,” CUNY Digital History Archive, accessed April 18, 2019, http://cdha.cuny.edu/items/show/6752.